A week into what is officially Autumn, I am finally ready to let go of summer and dive into everything this gorgeous-if-a-little-chilly season has to offer in Saskatoon. Here's my roundup of local family-friendly activities and events happening in the month ahead-- I've already eagerly begun ticking each off my to-do list so if you've got anything to add to the list, let me know because, to quote that timeless Aerosmith song, I don't want to miss a thing. There's still a few dates left of Black Fox Distiller's magical Pumpkin Festival. Wagon, tractor, and pony rides, pumpkin roll, mini pumpkin tee ball, hay maze, frisbee toss, and the best pumpkin donuts I've ever had in my life. Admission is $10/vehicle with a few free activities and others that cost a couple bucks (though we won two large pumpkins as game prizes and felt like we came out ahead). If you haven't yet felt a chickadee eat seeds out of the palm of your hand, you're missing out on everything good in the world. Okay, I exaggerate, but it's pretty awesome. Beaver Creek will be closed weekends and holidays starting October 1st so if 9-5 Monday-Friday doesn't work for you, better take advantage of the last few weekend days these free Meewasin trails operate. Oh, and chickadee seed isn't all Beaver Creek offers: there's a kid-friendly interpretive centre, indoor washrooms, and scenic paths that are just enough of a hike for families. 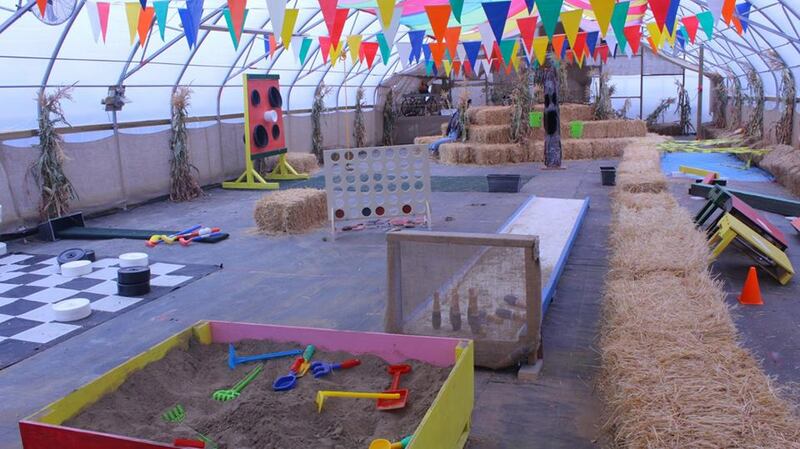 There's so much going on at the YFC Maze beyond junior and advanced mazes, it seems worth the drive. Admissions: 2 and under is free; 3-10 $7, 11-16 $8, adult $9 (all +tax). Additional activities are ticketed or you can buy an all ages wristband for $13.25 +tax which includes both Corn Mazes, Petting Zoo, Corn Pitt, one session with two climbs on the Climbing Wall, and unlimited use of all other attractions including jumbo pillow, hayride, Rider Pride Train, and the pedal carts. Offering both day and night maze navigations (so bring a flashlight! ), the Italian Culture Club's 8-acre corn maze by Cedar Villa is mapped after Italy itself. Hours vary so click through for details. Ages 4 & under free; 5-10 $8.00, 11-16 $9.00; general $10.00. With hints along the way should you answer questions correctly, this maze shouldn't be as challenging as my family found it but let's just say, our exit was the entrance. Should you give up, there's always the hay bails to climb and picnic areas on premises. Under 5 free; 6-12 $7; adults $9. Mon-Thurs: 12pm-6pm; Fri, Sat, Sun, and Holiday Mondays: 12pm-8pm. This free annual event celebrates literacy for all ages with workshops and readings by authors as well as a marketplace, all taking place at Victoria School. Buy a craft pumpkin and decorate it for free, with supplies from Michael's. The 4th annual Nuit Blanche Festival is a spectacle of light and for the first time, it will be staged throughout Riversdale, Downtown and Broadway. Check out the link for a map, some artist profiles, and the list of businesses that will be open late in celebration. The picture says it all: plenty of fun for the kids is to be had at the Berry Barn at the moment so head on down and stay for brunch! Bouncy castles, face painting, a petting zoo, pony rides, food trucks, and an appearance by Beeper the clown... this event has it all. Click through for the schedule of events. Funds raised go toward Children's Discovery Museum. For the third year in a row, Crossmount hosts a complimentary hay maze, kids' race, and cidery tastings & tours. Inexpensive extras are also available like food, petting zoo, and horse rides. 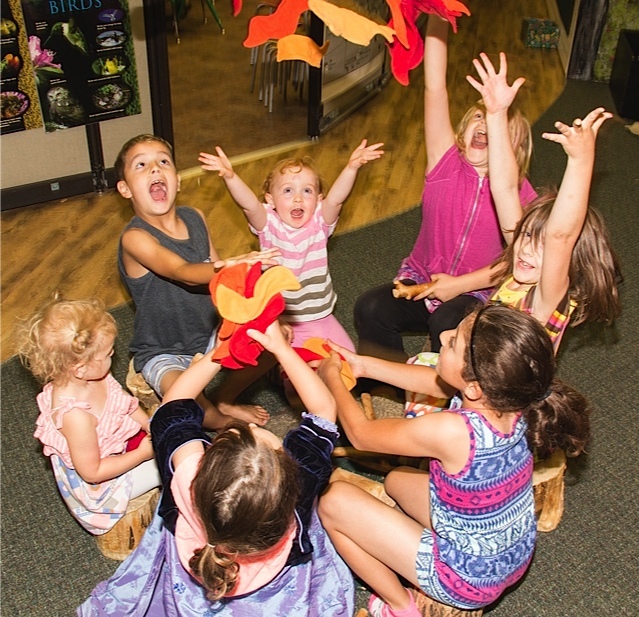 Children's Discovery Museum hosts two fall-themed Thursdays of drop-in crafts: the first being a tree print and the second, a play dough pumpkin. Children's Discovery Museum gets messy with hands-on experiments filled with a Halloween twist. Free with regular admission. Presented by Children's Discovery Museum, this free event at Market Mall features activities like a mummy wrap station and pumpkin painting. Costumes encouraged but not necessary. Prairieland Nearly 100 booths of entrepreneurs, crafters, and bakers will be on the go at this family tradeshow that also features door prizes, swag bags for early birds, face painting, sparkle tattoos, and King's Castle characters. Hours on Saturday are 10am -5pm and Sunday 10am -4pm with an admission of $5.00, though 12 and under are free. For the children out there who aren't spooked by skeletons, the Skulls bike ride departs from Victoria School on Broadway and tours around Saskatoon at a slow pace. It's free to be involved and welcomes all ages. 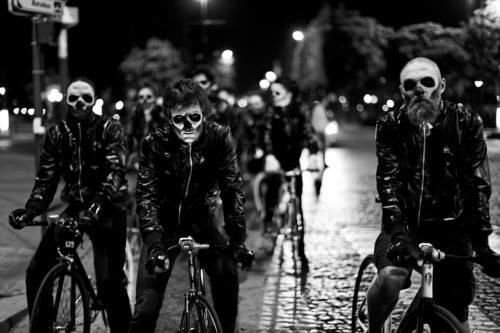 Grab your facepaint, follow the skull motif, pull out the black clothes, don a helmet, and make sure your bike light is working because safety is #1 for Skulls. Musical theatre meets trick-or-treating in this non-scary live-action show for kids that takes place at Scotiabank Galaxy Theatre. Join Zoe and Justin as they sing and dance their way through Boo Alley. Along the way, they’ll meet wacky, larger-than-life characters and embark on a quest to save Halloween. Featuring a dynamic original score, dance numbers and theatrical effects, the show promises to captivate and delight the whole family. Click on through the title for showtimes. Saskatoon Mommy Connections is back with their Halloween party, taking place this year at Erindale Alliance Church. Activities, photo booth, crafts, and a performance by beloved children's performer Singing With Sylvia round out the event. Find the 18 "Trick or Treat" stations scattered throughout the zoo and try all of the activities to win prize, listen to some traditional stories about animals by storyteller Randy Morin, and dare to walk through the scary "Haunted Tunnel." The event is admission by donation and any contributions are welcome with all proceeds go to our Community Outreach program, which will provide free Festival tickets to families who face barriers to participation. The Western Development Museum has a few things before Halloween you should check out (an historical clothing exhibit, Christmas Craft fair, and Pioneer Flea Market), but the big can't-miss is Boo Town. Enjoy live entertainment with Off the Cuff Improv, play a few Halloween games, listen to some spooky stories, dare to go on a wagon ride through the dark and eerie grounds, and try to solve Boo Town's Halloween Mystery. Costumes are encouraged for this family event. Regular admission applies. Singing With Sylvia concerts are always a howl, but this one is Halloween themed! Taking place at the Refinery, the Howl has four showtimes (10:30am and 7pm Monday, 10:30am and 1pm Tuesday) so you can pick a time that works best for your family. Tickets only $8 in advance or $10 at the door; free for 2 and under. And that brings us to November! Let's not look ahead much further for now, shall we?